Infinix Note 5 (X604) has a 6.0" display and the 12MP back camera takes clear, crisp pictures and 16MP front camera for selfies. It runs Android One on a 2.0GHz ARM Mali G71 MP2 700MHz Processor with 3GB RAM and 32GB built-in storage. Order for this Infinix Note 5 (X604) online on konga and have it delivered straight to your doorstep. 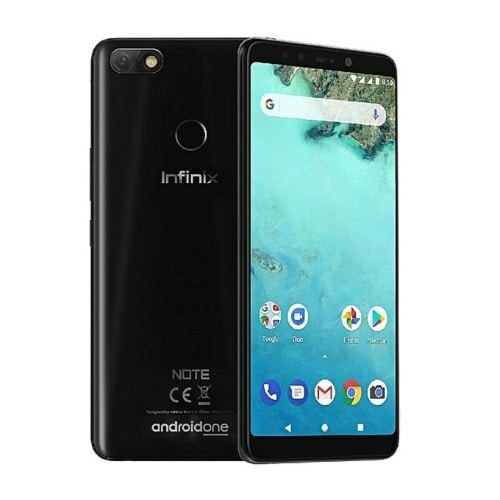 From the above specifications, Infinix Mobility have done something in the Note series. With the full view display, the phone is trendy and offers good specifications. The Infinix Note 5 (X604) promises good features and design different from the Note 4 and Note 4 Pro.